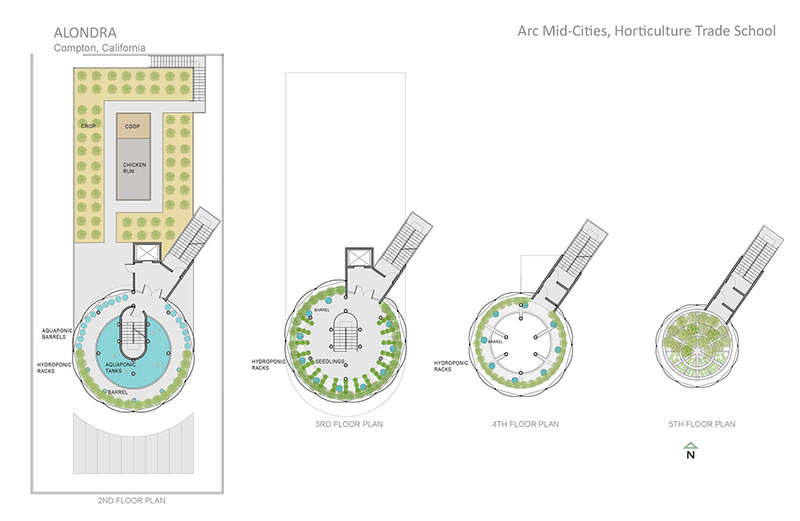 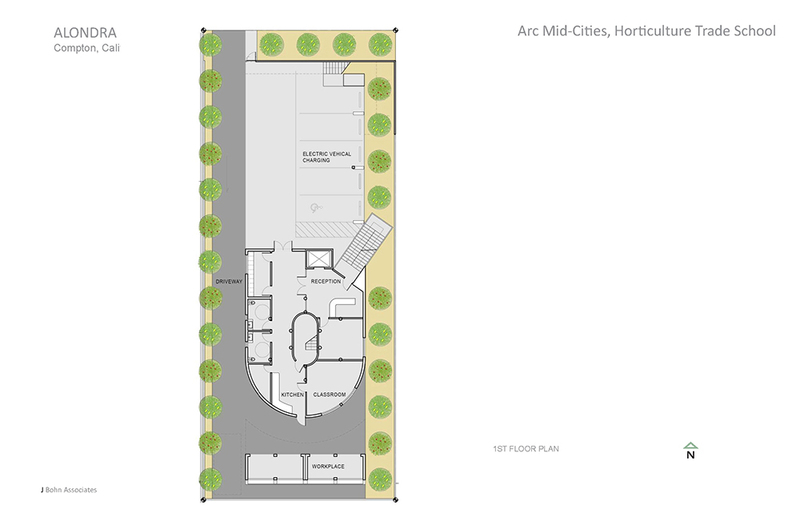 A horticulture training facility and full-diet vertical urban farm in Compton, CA for ARC Mid-cities, a non-profit aimed at responding to the food desert phenomenon through its training programs for persons with developmental disabilities. 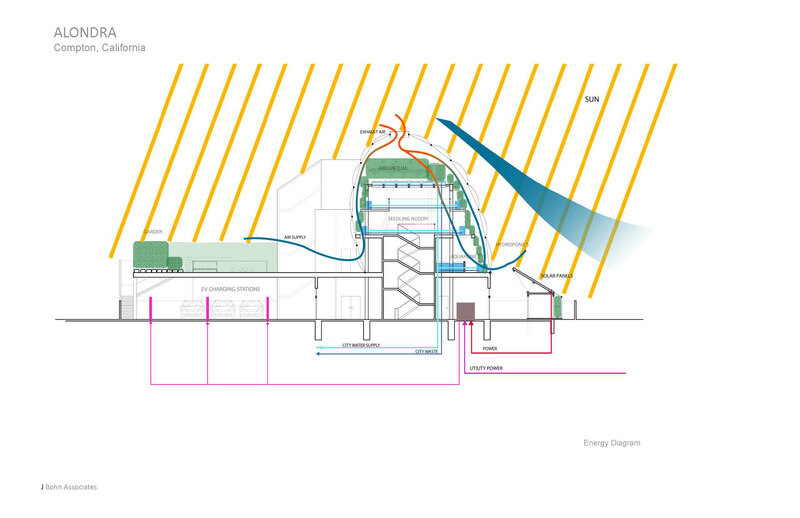 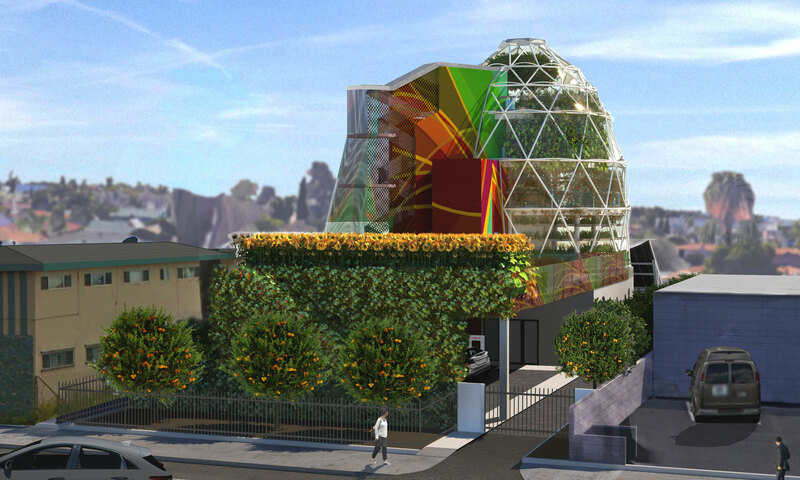 The project implements the Extreme Greenhouse Habitat system to join hydroponic, aquaponic, and green roof growing systems with passive solar energy systems to maximize plant productivity in the climate of the Los Angeles Basin. 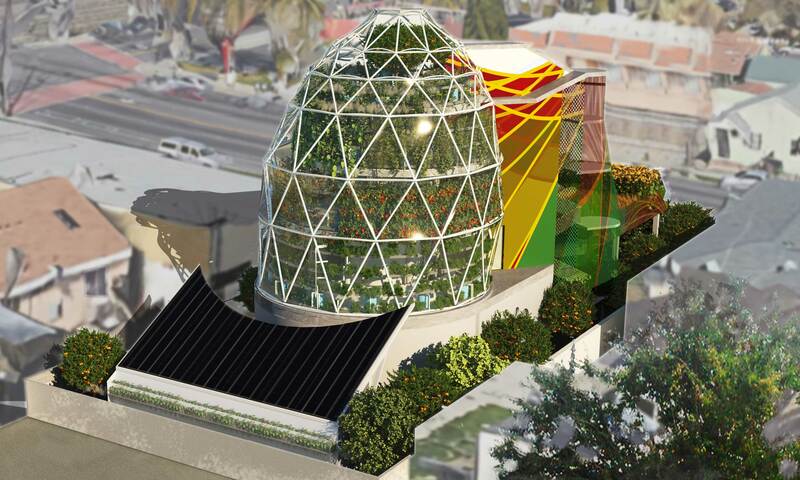 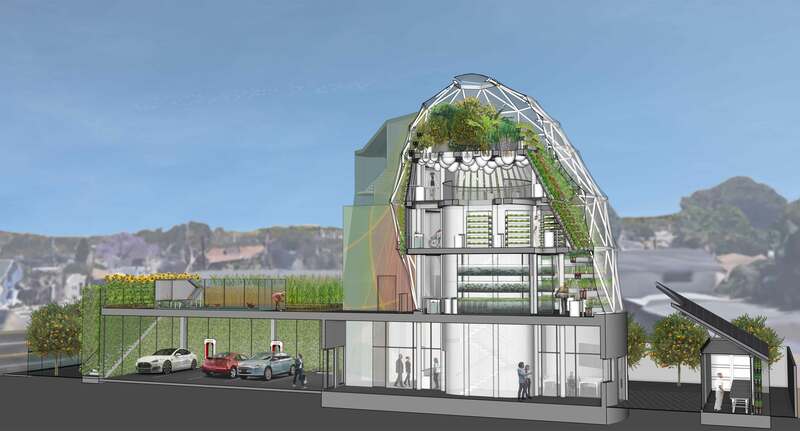 The concept foregrounds opportunities to test integrated vertical permaculture systems including aquaponic and hydroponic systems with a ETFE building envelope technology to provide a state of the art built training facility.